Castella is thrilled to announce that we now offer custom bespoke finishes on our beautiful hardware. Simply select a handle from the 2016 Collections and a then a custom finish of your choice – any finish, any finish at all. Create a handle that has never been seen or used before. Bespoke finishes on cabinet ware allow you to create a fully customised, completely unique and utterly special look for your bathroom or kitchen. 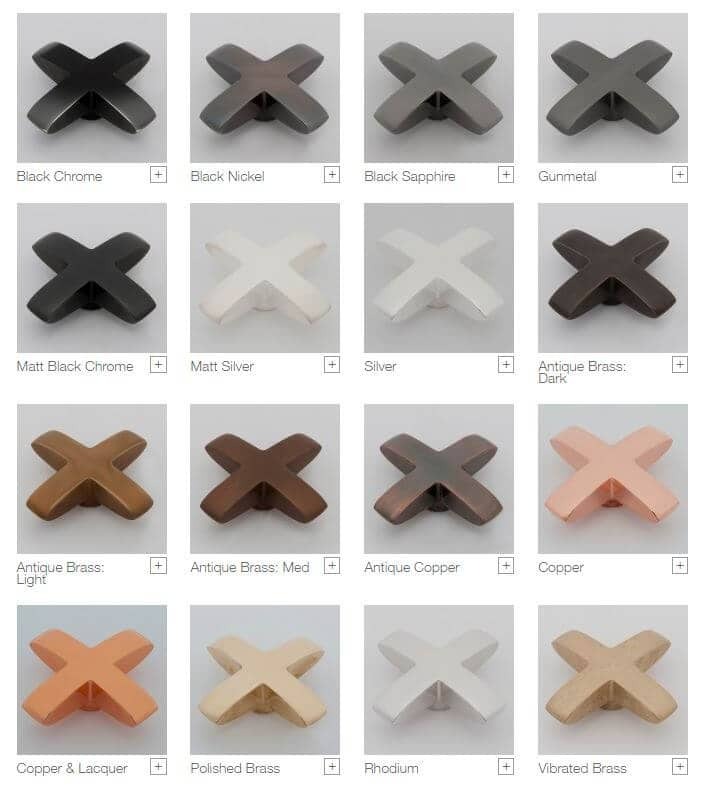 Our exciting selection that includes 17 different finishes bright, shining metals, subtle brushed metals, antique finishes and the new Matte Black & Matte White just to name a few. We are passionate about quality and our selection of special finishes meet our high standards. More information to come soon but in the mean time please contact us for a quote on these finishes, leads times and samples. Below are photos of some of the special finishes we will offer.